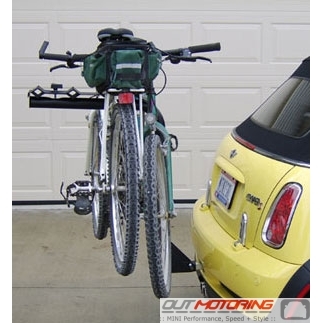 If you have the MINI Do More Hitch on your MINI and you want to start hauling bikes, this is a proven fit that works great with the MINI. It clears the bumper when installed and is easily removed as needed. Holds 3 bikes. Fits both 2" and 1 1/4" hitches. 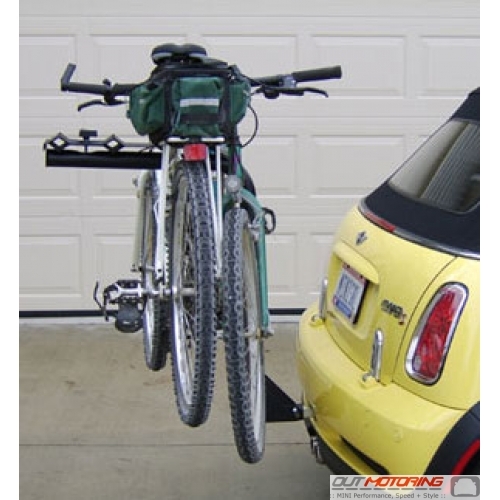 Tilt feature allows access to the trunk without removing bikes. - Constructed from durable round steel tubing to prevent bowing and rounding like some square tubing models. 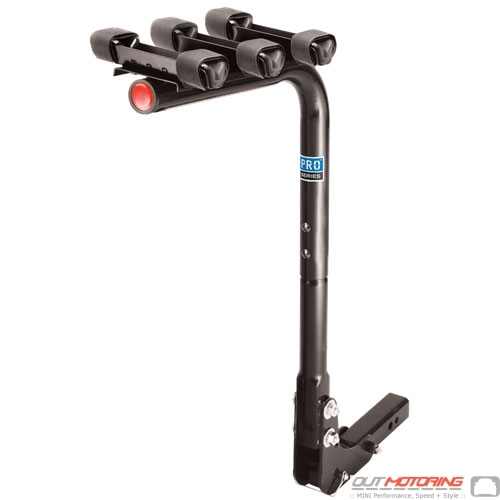 - User friendly bicycle mounting system with rubber tube protectors is designed to carry bikes with up to a 2 1/2" diameter top tube along with a variety of women’s and kids bikes. - Painted with a tough epoxy finish to help resist corrosion and scratches for years of worry free use. 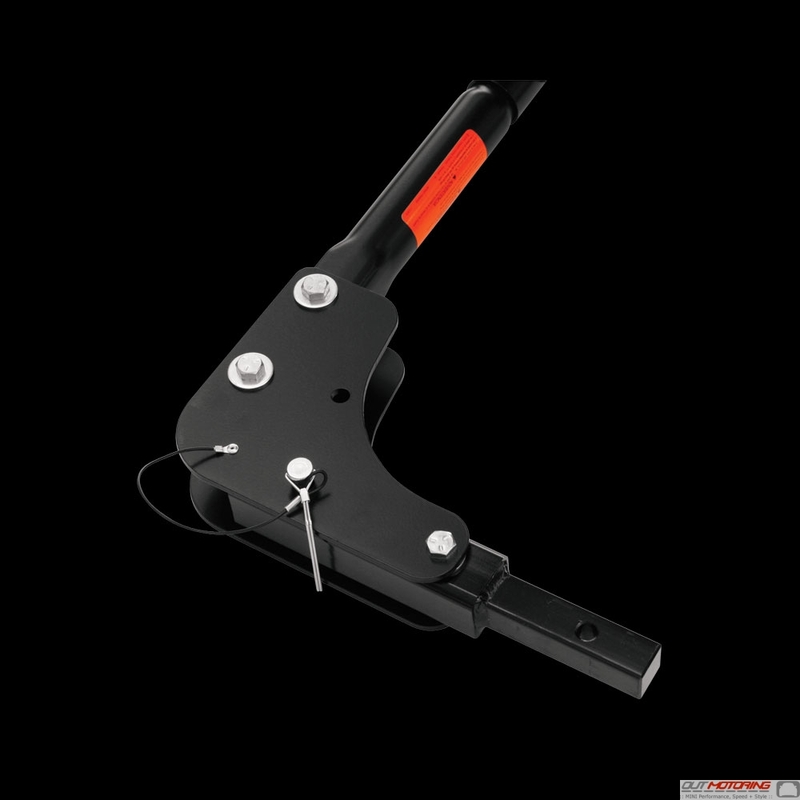 - Tilt away feature eases tailgate access. 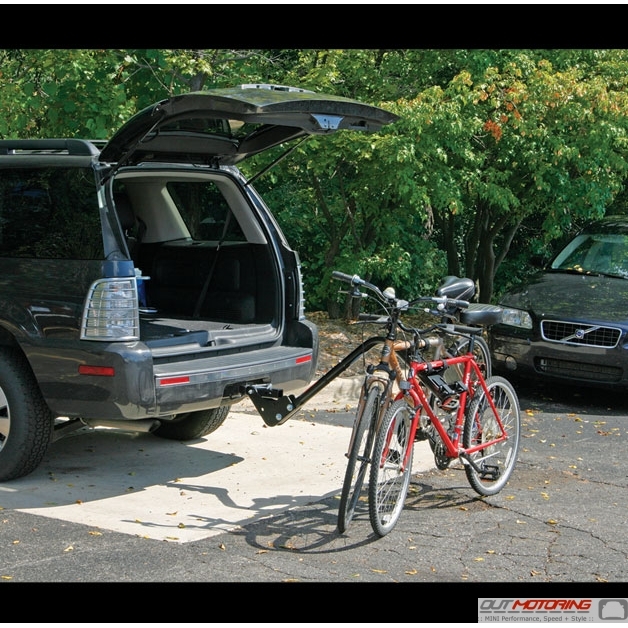 - Bicycles can be locked in place using a separate keyed lock. This item is TOO LARGE to ship to Australia via USPS. 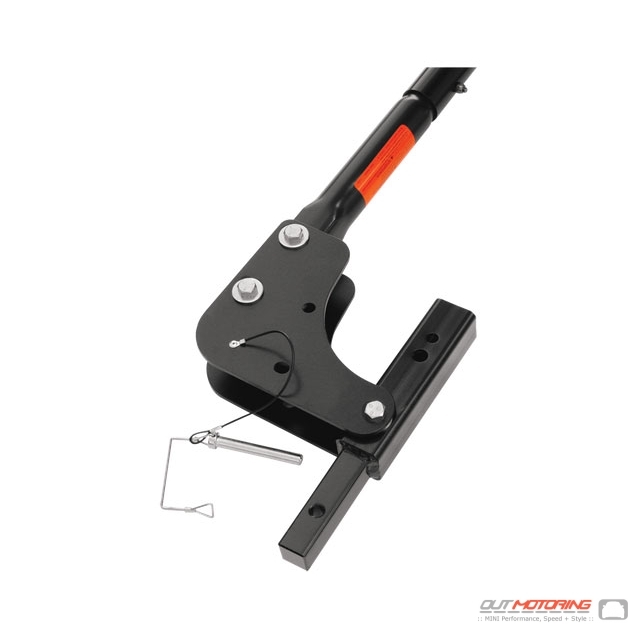 All MINI Models or other vehicles with a 1-1/4" hitch or 2" hitch.